I wasn't aware of this recording back in 1981 when it was re-released, but the bands it influenced like Bow Wow Wow ans Adam and the Ants were playing Burundi drums on these space age (to me) Staccato drum kits which have amazing sound. Now if anyone knows of any sampled Staccato drum sounds, drop me a line. 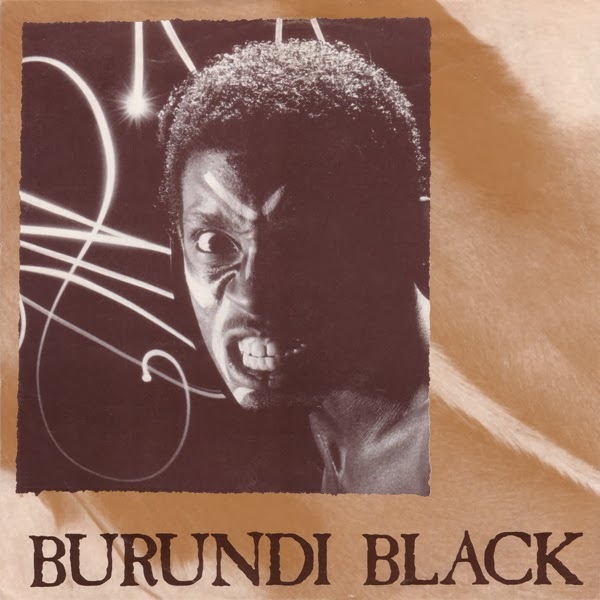 "Burundi Black" is a 1971 recording credited to Burundi Steiphenson Black. Released as a single, it made #31 on the UK Singles Chart. The single was arranged and produced by French pianist, arranger and record producer Michel Bernholc (1941 – June 5, 2002). He was a classically trained pianist who had previously worked with pop musicians such as Michel Berger, France Gall, Françoise Hardy and Claude François. For the "Burundi Black" single, he used the pseudonym Mike Steiphenson. The record sampled a recording of drumming by 25 members of the Ingoma people in Burundi. The recording was made in 1967 by anthropologists Michel Vuylsteke and Charles Duvelle, and was released on the album Musique du Burundi on the French Ocora label in 1968. Steiphenson overdubbed his own piano and guitar rock arrangement onto the recording. In 1981, a new arrangement of "Burundi Black" was recorded by drummer Rusty Egan and French record producer Jean-Philippe Iliesco, and released in the UK and US where it became a dancefloor hit, described by music critic Robert Palmer as "glitzy pop-schlock, a throwaway with a beat". Palmer noted that, although Steiphenson had retained copyright over "Burundi Black", the Burundian musicians made no money from any of the recordings. The recording of Burundi drummers was also sampled by Joni Mitchell on her song "The Jungle Line" (1975), on "Zimbo" by Echo & the Bunnymen (1983), the Def Leppard single "Rocket" (1987) and the Beastie Boys' "59 Chrystie Street" (1989).